The area’s top pro, college, junior, high school, prep and youth hockey goalies choose Mike Buckley for the proven success of his systematic approach to goaltending. Coach Buckley’s system fits into all players’ games, at all levels. The GDS system is a thoroughly mapped out set of principles and variables that lays the groundwork of the goaltender’s game. The system builds on the six core fundamentals of goaltending: Skating, stance, positioning, save selection, rebound control and recovery. GDS coaching creates a strong technical base complemented by a focus on an athletic, unbounded style of play. This allows goaltenders to develop their own style based on their strengths, resulting in quick efficient movements and confidence in their game. 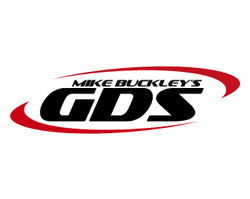 In addition to being president of GDS, Coach Buckley is also the goaltending development coach for the Pittsburgh Penguins, and director of goaltending for Pro Ambitions Hockey, where his curriculum is taught across the country at more than 120 locations. GDS also provides goaltending consulting to sports management groups, NHL scouts, top prep schools, junior teams and youth hockey organizations including Top Gun, Assabett Valley Girls, Boston Jr. Terriers, Manchester Monarchs, NH Avalanche, Boston Junior Rangers, Seacoast Spartans, Seacoast Lightning, Manchester Flames, Masco Youth Hockey and Methuen Youth Hockey. Mike Buckley is also on the Goalie Advisory Staff for Reebok/CCM.